This week’s YouTube special reveal is an ant that moves your opponent’s rear-guard! ACT (RC): COST [Rest this unit], choose an opponent’s rear-guard in the same column as this unit, and move that unit to an opponent’s open (RC). 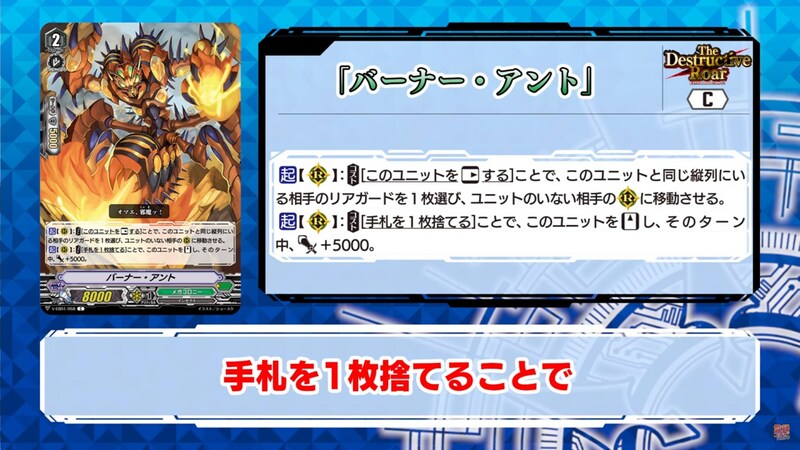 ACT (RC): COST [Discard a card from your hand], Stand this unit, and it gets Power+5000 until end of turn.